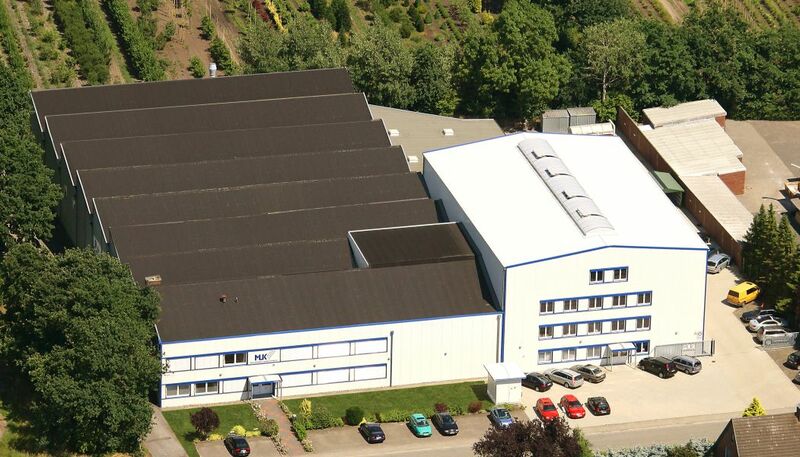 Established in November 1980, Maschinenbau und Konstruktion GmbH Elmshorn (MuK) nowadays gives work to 55 employees who contribute to an annual turnover of about 7,500,000 Euro. MuK designs and manufactures customized solutions for inhouse material flow and production automation. ► Robot palletizers building up (un)strapped cardboard bundles for the corrugated cardboard industry. ► Material flow systems, e.g. high-bay racking and storage and / shelf operating device / retrieval vehicle for large workpiece carriers with vacuum clamping system. ► Special applications for production automation, e.g. large-format cutting installations with ultrasonic knives. ► Radiation protection cabins for non-destructive material testing.